Fuji Spray is the leader in the Spray Finishing Market. Fuji Spray is constantly looking to improve their products and deliver only the best to the end users. Fuji Spray introduced major upgrades to their turbines with the launch of the Q5 PLATINUM™ and Mini-Mite PLATINUM™ Turbines. These improvements were designed to lengthen the motor life of the turbine. Following in the footsteps of the 5-stage launch, these enhancements have been installed to all 3-stage and 4-stage turbines. 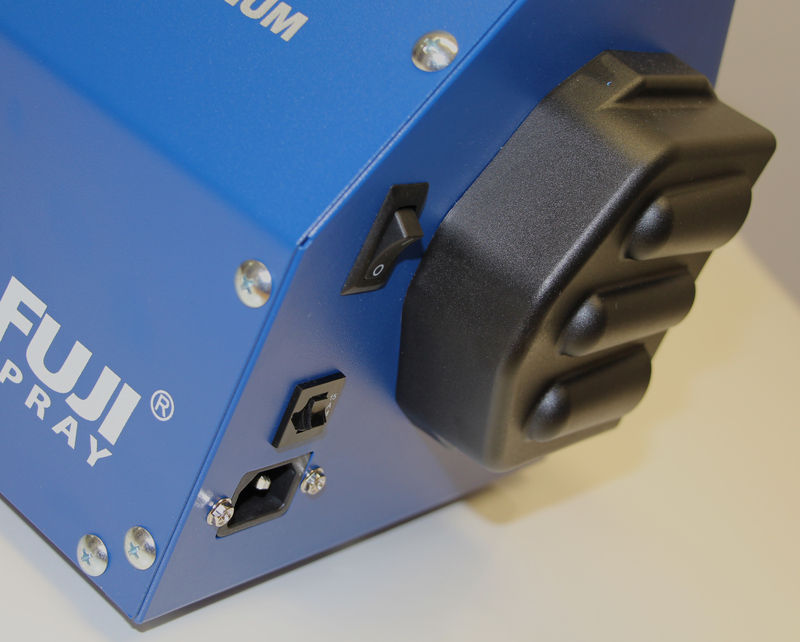 Through years of hard work and extensive research Fuji Spray was able to deliver such improvements as the new Heat Dissipation Box™ found both on the Mini-Mite and Q Series. Plus the Noise Reduction Covers™ also installed on the Mini-Mite Series. Fitted for both the Mini-Mite and Q Series, Fuji Spray has designed a unique method of removing any heat build-up from the Turbine case. 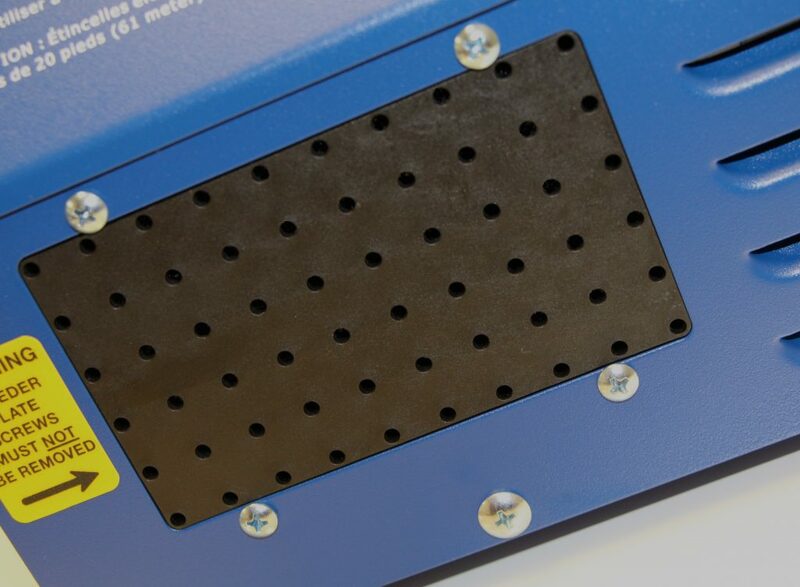 Excess heat is channeled to a Heat Dissipation Box™ located at the rear of the case. Because the hot air is dissipated evenly through an optimum surface area with 60 holes, there is no added hiss or loud whistling noise. There is also no blowing around of dust.The benefits of a cooler running unit results in a longer life for your turbine motor compared to standard turbines. The Mini-Mite PLATINUM™ Turbines are now equipped with a method to reduce noise. The Noise Reduction Covers™ house the Filters. Ambient air is entrained only from the rear effectively removing any Direct Sound Paths. Air is drawn in through a large Rear Aperture and through specially designed ‘Finger Slots’ for optimum performance. In addition to the NEW PLATINUM™ Turbines, Fuji Spray also made advancements to the T75G Spray Gun by introducing a 600cc Nylon Cup as a standard assembly. 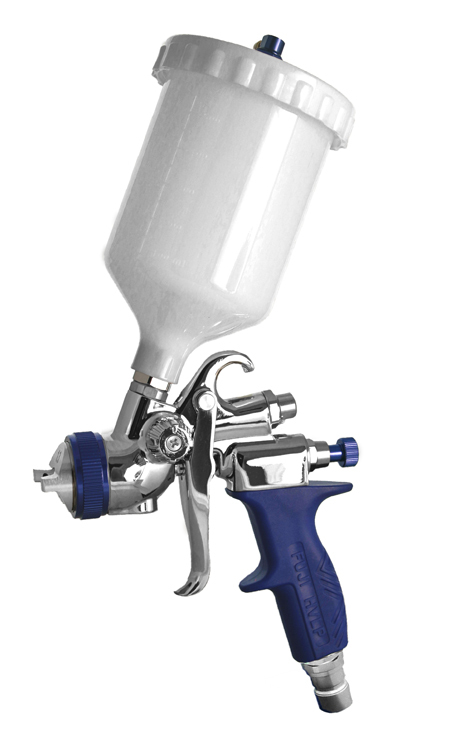 The T-Model™ Spray Gun continues to deliver an enhanced spray pattern for exceptional performance. Its sleek design is ergonomic and well balanced. Overall the T-Model™ is 20% lighter which allows for easy maneuvering and less fatigue on the operator. The lid on the 600cc Nylon Cup provides a perfect seal with no gasket. It’s easier to clean and leak proof. This makes the T75G the “Go To” Spray Gun for those who want that flawless performance, easy upkeep and remarkable outcome every time. For 30 years Fuji Spray has continued to stay market leaders in their field. Their leading brand of products offers a wide range of spray systems to meet the needs of the professional and serious DIYer – all of this supported by exceptional customer service each and every time. Take the Challenge! Spray with Confidence…Use a Fuji!